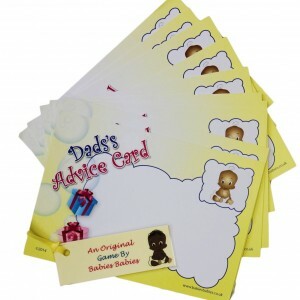 Dad's Advice cards with ethnic baby - pack of 10 cards allow your guests to write their words of wisdom & advice for Dad-to-be. Dad's Advice cards with ethnic baby - pack of 10 are perfect even if Dad is not at the Baby Shower, it would be great for all your guests to write their tips & advice to him before the arrival of the new baby. A fun thing to do at the Baby Shower! 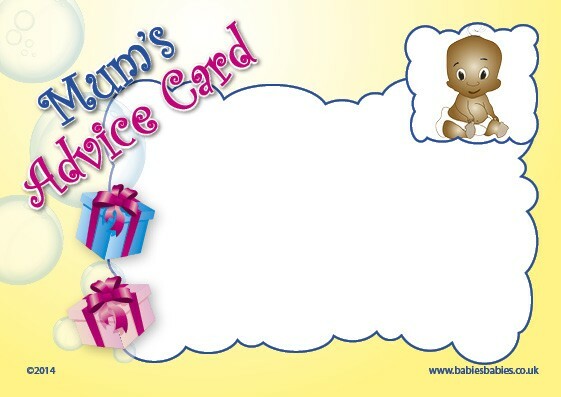 Mum-to-be will also have great fun reading these before presenting them to DAD!